Beginning in London in 1912, Suffragette focuses on Maud Watts (Carey Mulligan) an ordinary working class woman, who works in a laundry and struggles to bring up her son with her husband Sonny (Ben Wishaw). When one of her friends is invited to speak to a Parliamentary committee about the possibility of votes for women, Maud tags along too, but circumstances force her to speak instead of her friend. Maud is then gradually drawn into the Suffragette movement, violent protesters in favour of extending the democratic franchise to women. She forges friendships with fellow Suffragettes Violet (Anne-Marie Duff) and Edith (Helena Bonham Carter), meets the Chancellor, David Lloyd George (Adrian Schiller), and the leader of the Suffragette movement, Emmeline Pankhurst (Meryl Streep). But her involvement in a bombing campaign also brings about her arrest, imprisonment, separation from her husband and the loss of custody of her young son. Suffragette has some good things going for it, but it has a lot of problems too. First, let's start with the good stuff. It's a British production so, as you would expect, it's pretty well acted, and the period setting is well evoked, with convincing décor and costuming. As a potted history of the Suffragettes, the film does a competent job at ticking off all the themes and events we expect to see; window smashing, bombs in post boxes, force-feeding of Suffragette prisoners and Emily Davidson throwing herself in front of the King's horse at the Derby in 1913. 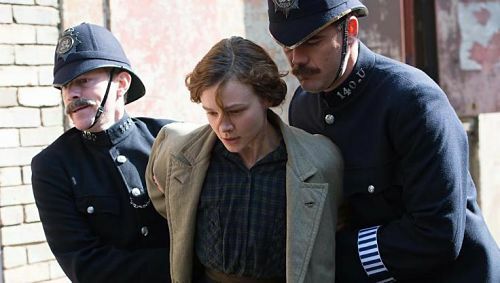 Carey Mulligan is pretty good and there's also the ever-reliable Brendan Gleeson as a police inspector trying to foil the Suffragettes' efforts. Gleeson brings that pained, world weariness that he does so well, and he gets a couple of nice speeches about the self-destructive nature of political violence and how Maud and her friends are simply pawns exploited by their movement's leaders. Maybe it's just a coincidence that these speeches are delivered by an Irishman, but then again maybe not. 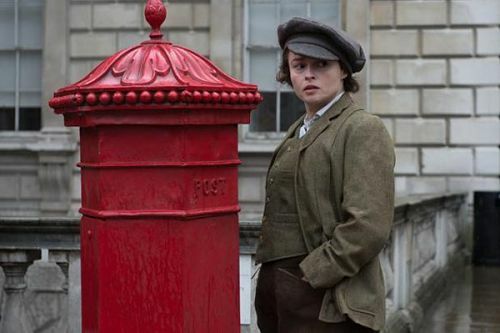 Helena Bonham Carter is not bad as chemist Edith, although the symbolism is sometimes not that subtle, as when we see her grinding away with a pestle and mortar to make explosives, just as she grinds away against the male-dominated establishment. There's also a cameo role for Meryl Streep as the Suffragette movement's grande dame Emmeline Pankhurst. I've seen some criticism of the brevity of Streep's role (it is only one scene) and the marketing did exaggerate her significance in the film, especially as she appears on the posters. But it's an effective piece of casting, and using a film star to play Emmeline Pankhurst effectively underlines the film's portrayal of her as the great celebrity of the Suffragette movement. The film reunites director Sarah Gavron with Abi Morgan, her screenwriter on Brick Lane (2007), and the historical and political aspects are much better handled than in Morgan's previous political film The Iron Lady (2011). So what's not so great about Suffragette? Well, firstly the film concentrates too much on one, fictional character and her unlikely personal circumstances. Maud is the Forrest Gump of the Suffragette movement, giving a speech in Parliament, meeting Lloyd George, meeting Emmeline Pankhurst, who exhorts her to never give up the fight, and even being there with Emily Davidson on Derby Day, just before she's trampled by a horse. All of this might be acceptable as artistic licence, if it wasn't for Maud’s domestic life, which is straight out of Victorian melodrama. She's not only jailed, beaten up by the police and force fed, but her husband throws her out onto the streets, bars her from seeing their son, and then has the boy put up for adoption. Ben Wishaw doesn't quite twirl his moustache as he makes her homeless, but he might as well have done. Just for good measure, the film then lets us know that Maud has been abused since she was a child, presumably sexually, by her nasty boss. None of this rings true, especially as Wishaw's husband is nothing if not mild-mannered. It's hard to believe he would throw his wife out and give their only son away to strangers because she went to a Suffragette meeting. But Suffragette frequently puts emotional manipulation ahead of believability or character consistency, and almost every male character is a bad guy in some way. When Maud starves herself in jail we're not even told why she starves herself, we can only guess from some dialogue earlier in the film. But why she does it isn't relevant to the film makers. What's important is that she's suffering. And how she suffers! Poor, waif-like Carey, with her sweet, almost childlike face and puppy dog eyes, who could not feel sorry for her with all the woes the script heaps upon her? Is there no indignity that Maud didn't suffer for the sake of women everywhere? Aside from its melodramatic storyline, as a film about British political history, Suffragette is a bit iffy. The film posits the Suffragette movement as the quest for equal voting rights for women. Men have the vote, so women should have the vote too. The problem with this is that, when the film begins in 1912, 40% of British men didn't have the right to vote. This is not something that you would ever guess from the film, which presents us with a simple battle for equality. The film even states that Maud’s husband Sonny is able to vote, something that is extremely unlikely for a poor, working class man who works in a laundry. The film also doesn't seem to think that women fighting for the right to vote is a strong enough angle on its own. So it muddles the issue by arguing that Maud needs to win the vote, in order to be able to change the law, so that she can see her son again. But this is a dubious proposition and underlines the film's taste for simple melodrama. Suffragette is also a little baffling in suggesting that Emily Davidson killing herself at the Derby somehow, who knows how, led to women being given the vote. This allows it to close with a dramatic flourish, but it's bad history. The film ends with the Derby scenes, and then informs us that women were then given the vote in 1918 ... five years later. All thanks to the Suffragettes! But didn't something significant happen between those years? Like, I don't know, The First World War? I think most historians would agree that it was women's role in taking on the jobs of men during the war that ultimately got them the vote, which is why women were first given the right to vote in 1918, the year the war ended. Suffragette simply ignores this and pretends that all the movement needed was for someone to throw themselves in front of a horse. Inconveniently for the film, it's debatable how significant the Suffragettes were in winning the vote for women. It claims that the campaign for female suffrage was ignored, but this is not really true. The peaceful campaign of the Suffragists (don't get them confused) had been gaining ground for several years and had considerable support in the country and in Parliament. Being peaceful though, the Suffragists are not very exciting or movie-friendly, so it's the violent Suffragettes who get celebrated (and the film does tend to elide the two at times). Equally ignored are the many women who were opposed to female suffrage. So Suffragette is definitely the print-the-legend version of history. While it's not out-and-out dishonest, it's misleading in the way it portrays the women's suffrage movement and the reasons why women won the right to vote. And it simply skips inconvenient information that undermines its straightforward message that the Suffragettes were just struggling for equal rights. 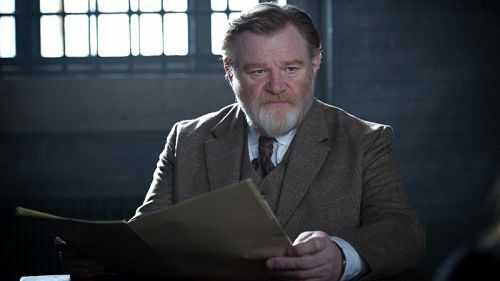 The positive aspects of the film are worth noting; it has decent production values, Mulligan is good, the casting of Streep is clever and it has Brendan Gleeson in it, which is always a plus. But it's true level is that of a simple melodrama, and by concentrating on the travails of one fictional character it often loses sight of the bigger picture. And as a political and historical film it's frequently heavy-handed and sometimes disingenuous. I enjoyed this film, but was left wanting much more than what the film actually manages to present us with. I personally think this story should have been done as a miniseries. I also think Meryl was wasted in the Pankhurst role, it's a cameo really and if I'm brutally honest the role could have been played by any actress. Carey and Helena were excellent. I agree with what you say about the Derby incident, but I think it was done that way to try and show that her death brought much greater attention to the movement (which it did). For many people the name Emily Davidson instantly conjures up images of what she did for the movement. After the Pankhurst's, I'd say that Emily became the most important and best remembered of these courageous women. I think her death made more people sit up and take the movement seriously and see how committed to getting the vote these women were. It annoys me too that there is hardly ever any mention of a large number of men not being able to vote either. That fact always seems to get airbrushed out of discussion on the fight for votes. Was there a working class male movement similar to the suffragettes who fought for votes? Or it did it just come about after WW1? I'm ashamed to say I don't know much about how the men managed to get the vote themselves in the end. I also liked how the film showed ordinary women putting up with the way things were, until they reached a point where they just couldn't in good conscience carry on pretending they were happy being treated as second class citizens. It was brave of them to join the movement risking anger from their men and risking prison or death in the process of their protests. Yes, men got the vote mainly as a result of the slaughter and upheaval of WWI. And after the Russian Revolution, it was probably seen as a hedge against something similar happening in Britain. The franchise had gradually been extended over previous decades, but male suffrage was one of the stumbling blocks, because some of those sympathetic to female suffrage wanted all men to get the vote too. That was too much for many MPs who might have given the vote to wealthy women, but didn't want the working class to have it. The film obviously mostly works for you. It shows downtrodden women fighting back against their evil male oppressors and winning the right to vote, and it celebrates Emily Davidson's sacrifice for the cause. For me, it doesn't work so much because I think Maud's story is too implausible and melodramatic, with the nasty husband, her friend's husband who's a wife-beater, Maud's child being taken away, the exploitative boss, sexual abuse, etc, it lays it on a bit thick, and that's not even including the hunger striking and police brutality. The film does handle the ambiguity around Emily Davidson's intentions quite well, but I think it's generally accepted that she was trying to attach a banner to the horse, and she never intended to get herself killed or become a martyr. It might have roused the other suffragettes, but I doubt if it won many converts. Much of the reaction at the time was highly negative. A lot of opposition to votes for women came from people who thought women were too emotional to be given the responsibility of voting and this kind of thing (and almost everything the suffragettes did) seemed to confirm that prejudice. I realise that many people assume that suffragettes were important in getting women the vote and the film does play on that assumption. But I'm not convinced that they made much difference and they may actually have hindered it. The main reason women won the vote in 1918 is because suffragists and suffragettes, including Emily Pankhurst, exploited WWI to show that women were patriotic and responsible citizens (this is pretty much the opposite of the suffragette campaign). That doesn't make such a good story though and includes awkward issues like the White Feather movement and the enthusiastically pro-war stance of many of the suffragettes.